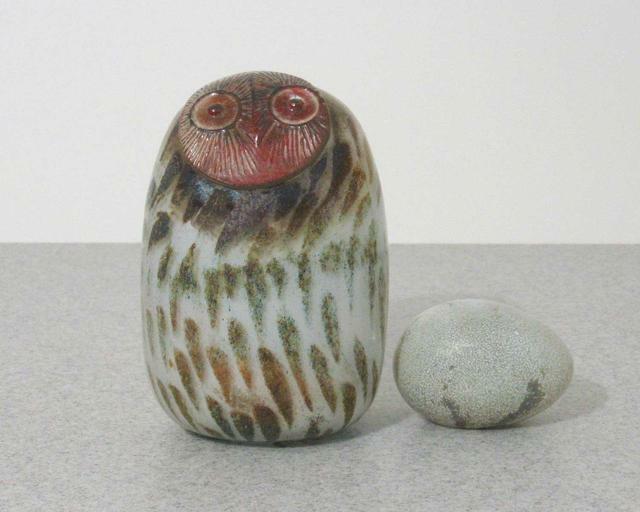 More about iittala Toikka Brown / Red Eagle Owl The huuhkaja, or eagle owl, features a unique red face, which is not painted but glass-blown, showcasing the intricate art of glassblowing. 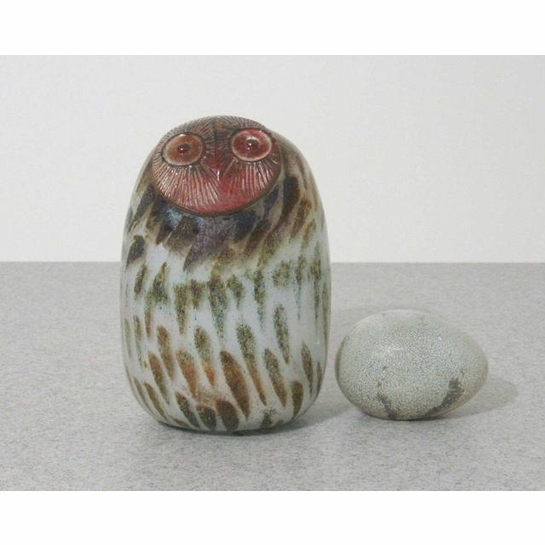 This owl, which was introduced in 1984 and retired just a year later, is sure to be a statement-making addition to your glass birds collection. This is a TOIKKA BIRD GUIDE ITEM THE PHOTOS AND INFORMATION ON THIS PAGE ARE FOR REFERENCE ONLY. THIS BIRD IS NO LONGER FOR SALE. Birds for purchase are listed on the Shop All Glass Birds tab at the top of the website.